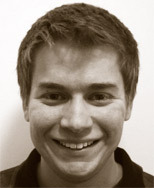 Eliot Knudsen is a Field Architect at Tamr where he works on technical implementation and deployment. He's worked with Fortune 100 clients to dramatically reduce spend by unifying sourcing data and implementing procurement analytics. Prior to Tamr Eliot was a Data Scientist in Healthcare IT, applying machine learning to patient-provider matching algorithms. Eliot is a graduate of Carnegie Mellon University where he studied computational mathematics, statistics and machine learning. Matt Holzapfel is a Product Marketer at Tamr where he focuses on procurement solutions. Prior to consulting with Tamr, Matt held positions in Strategy at Sears Holdings and Strategic Sourcing at Dell, where he led the implementation of new sourcing techniques to significantly lower procurement costs. 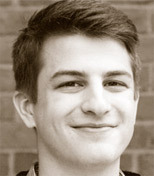 Matt has a BS in Mechanical Engineering from the University of Illinois at Urbana-Champaign and is a recent graduate of Harvard Business School.